Vaughan Gething AM, Cabinet S ecretary for Health, Well-being and Sport was invited to an exclusive first look at Ronald McDonald House Cardiff along with a selection of Welsh media on Thursday 6 July 2017. The new state-of-the-art accommodation, which is the first of its kind, in Wales for families of children being treated in hospital will be opening its doors to families on 19 July 2017. 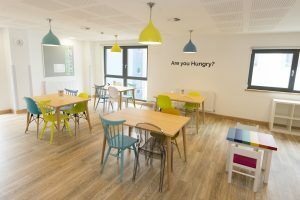 The new £6 million build is just across the road from the Noah’s Ark Children’s Hospital and will be available to families of children being cared for there, and to those with babies in the neo-natal unit at University Hospital of Wales. 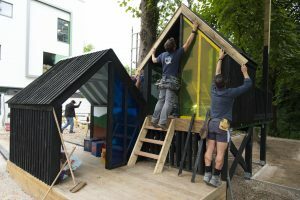 The 30-bedroom House will be run by independent charity, Ronald McDonald House Charities, and has been developed in partnership with the Cardiff and Value University Health Board. 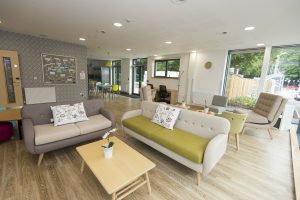 It is equipped with en-suite bedrooms, large enough to sleep four, as well as kitchens, dining areas, lounges, playroom areas and laundry facilities to help support and keep families together. Families can stay as long as they need in a stress-free environment just a stone’s throw from the ward, saving them the expense of travel and accommodation, and allowing them to be on hand for their child at all times. 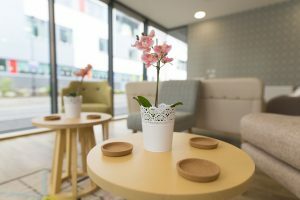 “I was delighted to visit this impressive facility in Cardiff and look forward to seeing the firs t families move in. It will make a real difference, not only to children who are being treated, but to their families who will be able to stay close by”.